By the third quarter of this year, we expect to witness the biggest iPhones we have ever seen. As rumors indicate that the upcoming iPhone 6 may come in two different sizes, one having 4.7 inch display which is surely bigger than the current generation of iPhones like the iPhone 5S, and the next big thing may happen at that moment as some rumors are already building up that there may be another bigger iPhone having a screen size of 5.5 inches. Still, most people are not sure about that, but YouTube tech reviewer Techsmartt has claimed that they have received the dummies of the upcoming iPhone 6 already. 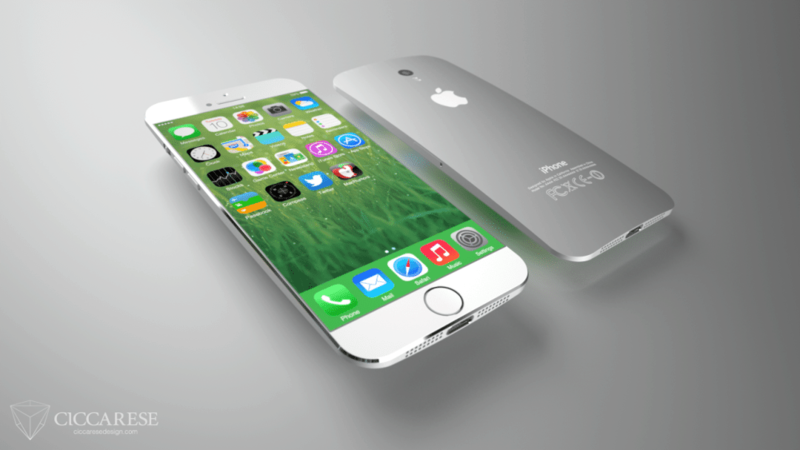 On the other hand concept phone maker Ciccarese Design has created such iPhones already. Both models have a 16:9 aspect ratio and the bigger model supports a 878 x 1568 pixel resolution, while the 4.7 incher has a 750 x 1338 pixel resolution and this is the vision of Federico Ciccarese. Beautiful, elegant and super slim. But what about a comparison with the size of current iPhone? Check this out. The iPhone 6 concept made by Ciccarese Design includes a Touch ID sensor within the Home button and the screen shown here is an edge to edge one. As you can see at the back, the device is slightly curved and it has a very smooth back area. If you compare this concept phone with the last released iPhone 5S, you can see a few differences. Like in this you can clearly see the speakers and the corners are even more rounded. Personally, I found this phone to be pretty similar to Samsung Galaxy S3, loaded with iOS 8 and this stunning look this phone is a killer one. 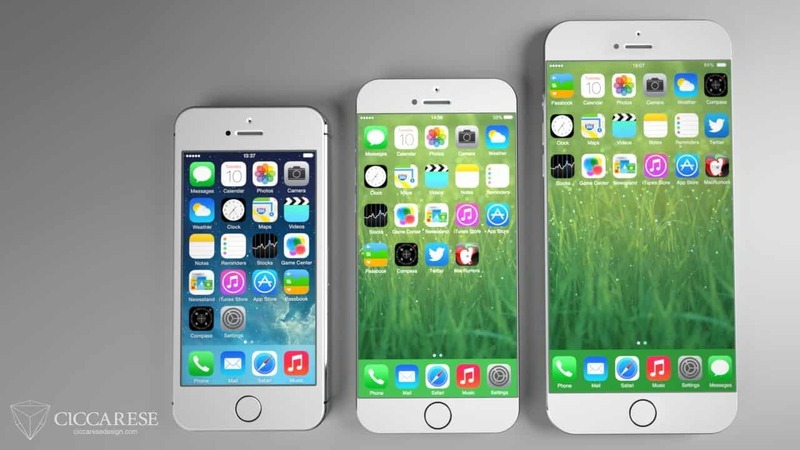 Need to have a more clearer view into the possible screen sizes of iPhone 6? Check out this video from the tech reviewer TechSmartt on YouTube.